MA lenders, release a real estate property that was being held under a deed of trust back to the property owner with this Massachusetts Release Deed. The Release Deed must be filed with the County Records office after the promissory note for the mortgage loan has been fully repaid. The form is fully editable and easy to download, fill in and print. 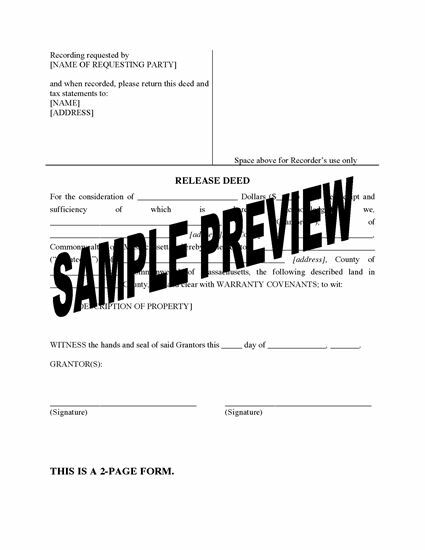 This Massachusetts Release Form form is available in MS Word format.